It is a truth universally acknowledged – in Wan Chai, at any rate – that a single man walking down Lockhart Road at night-time must be in want of a nice Filipina lady friend to be the Suzie Wong to his Robert Lomax. Hong Kong’s most persistent mama-sans will tug at your sleeve, trying to persuade you into their lap-dancing bars, where smiling young women from Manila or Luzon (so I am told) will attempt to get you to buy them drinks, at HK$300 – £25 – a time. But while the image many people have of Hong Kong’s bar scene is probably based on Wan Chai’s pole-dancing clubs and places like the Old China Hand, where homesick expats can watch Six Nations rugby while washing down a full English breakfast with a pint of Stella, in fact the former colony’s drinking places are far more diverse and, sometimes, far, far better than anything you’ll find in Wan Chai. For the over-50 Westerner, Wan Chai is the place to go for a Friday night out. For anybody younger, Hong Konger or expat, the area known as Lan Kwai Fong, in Central, a couple of MTR stops to the west of Wan Chai, is now the wildly thumping heart of Hong Kong’s entertainment world: there is a whole grid of streets where practically everything is either a bar or a restaurant. But drinking in Hong Kong is not just the Friday night rave scene in Lan Kwai Fong, either. While Hong Kong is not quite yet among the planet’s must-visit bar destinations, it has one of only two bars in Asia to appear in a list of “Great Craft Beer Bars Around the World” in a book by A Multiple Award-Winning Beer Writer due to be published in September, I can reveal (though I probably shouldn’t); it has the highest bar in the world, measured by distance from the ground; it has what must be one of the most unexpectedly situated craft beer bars in the world; and it has one or two of the world’s greatest beach bars. And while the beer in Wan Chai is generally pretty shoddy, if you know where to look you can find an impressive selection of terrific brews elsewhere in Hong Kong. In fact Hong Kong is starting to be a place where you’ll discover great beer in outlets you’d never have thought had any interest in the idea. One of my favourite places to drink isn’t a bar in any conventional sense, but a French-style cafe chain run under the name of the Agnès b fashion group. They sell the usual sorts of French cafe foods – croques monsieur, baguettes, omelettes, pasta, salads, pastries and cakes – there’s a rather fine florist’s rammed into one corner, and an excellent range of nine or so organic, unfiltered beers from three breweries in the west of France that are the match of anything the best brewers elsewhere in the world can do. 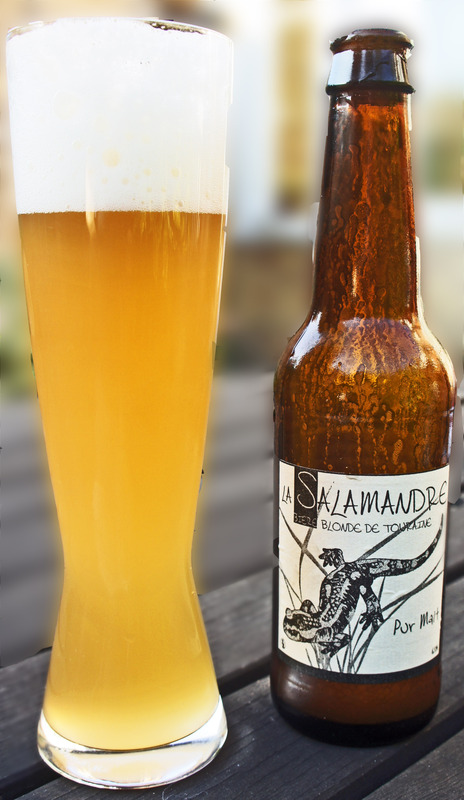 The bière de l’Aven from the Mélusine brewery in the Vendee, flavoured with hemp flowers, is the best hemp beer I’ve ever had, a great, green, grassy hit. The Dorée Bio from the Brasserie Dremmwel in northern Brittany (actually more amber than gold) is a dry, strong, Belgian-style ale with hints of milk chocolate and caramel orange The bière du Chameau, a wheat beer from the Pigeonnelle brewery in the Loire valley, near Tours, is just 3.5 per cent alcohol, but refreshingly sharp with hints of grapefruit, while the same brewer’s La Salamandre has a tremendous creamy, gingery zing. 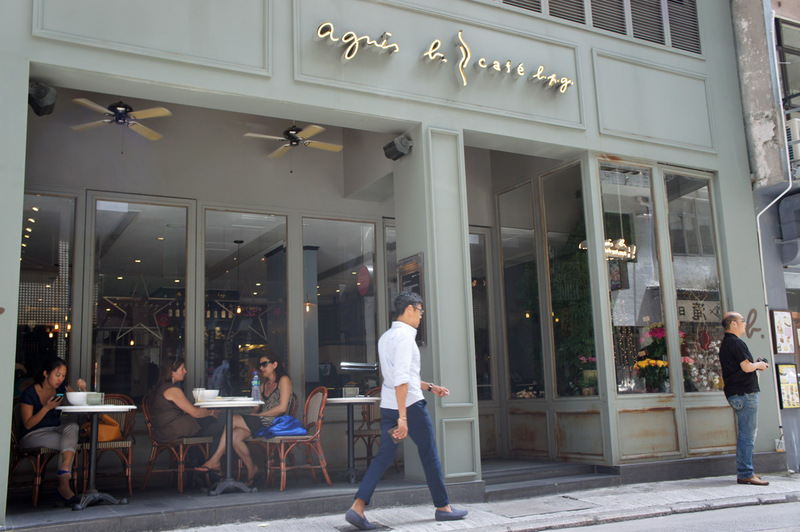 The staff at the Agnès b cafe in Gough Street, near Sheung Wan MTR station, became used to me coming in for an early supper, and taking away several bottles of beer for drinking at home. At the completely opposite end of the spectrum to the Agnès b cafes is a bar that, strangely, also has a touch of French about it: Bière von Irene, in the city of Yuen Long, pop. 200,000, in the north-east of Hong Kong’s New Territories, 14 miles or so from Kowloon. When you step out of the MTR train at Yuen Long station, you’re likely to detect the delicious smell of mashing malt on the air: this is because Hong Kong’s own San Miguel brewery moved to Yuen Long in 1994 from its original home on the coast at Sham Tseng. 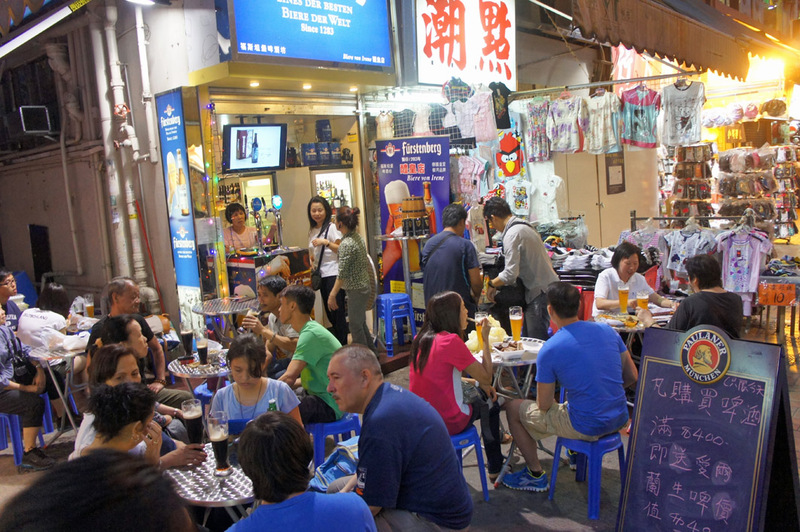 But it won’t be San Mig you’ll be drinking when you find Bière von Irene, in a pedestrianised street called Yau San Street, just off Yuen Long’s extremely busy main drag, Castle Peak Road. As a beer outlet, it could barely be more basic: just a narrow shop front in a street of cheap shops, with a fridge for bottles and one of those twin-keg-founts-on-wheels you might see a British pub set up in its garden at barbecue time. The only drinking space is out in the street, where you’ll sit on plastic stools at fold-up aluminium tables. Don’t trip up the shoppers by sticking your feet out too far. The beers, astonishingly, include draught Rogue, from Oregon, and bottles from other American craft brewers such as North Coast, a pair of Japanese craft brewers (when I was there), and European offerings as varied as London Pride and Furstenberg Hefe Weisse. 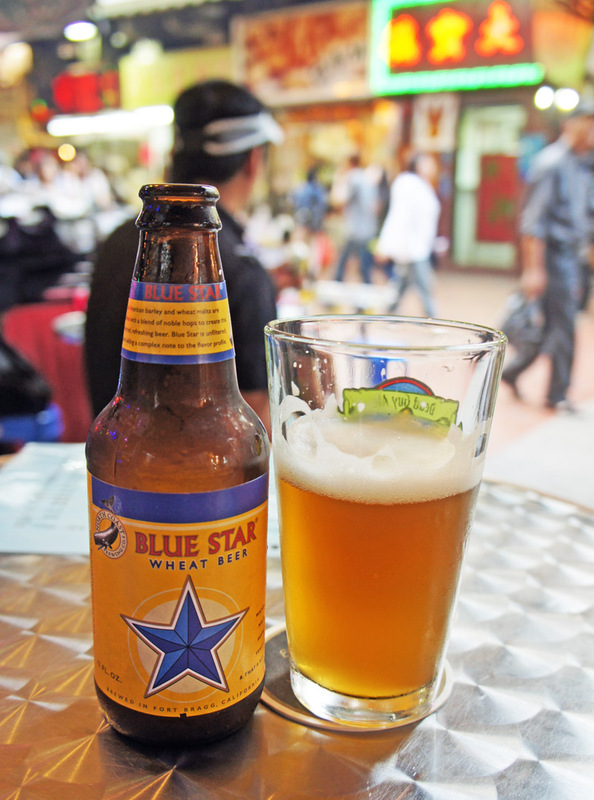 I don’t speak Cantonese, so I was never able to discover why the eponymous Irene, the bar’s owner, started a specialist beer bar in such an unlikely place: most Hongkongers normally seem happy with the vile Blue Girl, imported in clear glass bottles from South Korea and sold as cheaply as possible. If you want to eat, there are a couple of take-away Cantonese street food places a door or two up the road. If you want a cheap T-shirt, lean over next door. The clientele is almost entirely local Cantonese-speaking Yuen Longers. Above all, it’s a terrific place to simply sit, enjoy great beer, and watch the world pass through Yau San Street: families with small children, schoolchildren, young couples, old couples, men in the middle-aged Hong Kong uniform of shorts and torn singlet, dumpy mothers, typically anorexic-thin Hong Kong girls in their early 20s, dudes with haircuts that look like badly advised experiments, people with bags full of food from the local wet market, where the fish is so fresh it’s still flopping about, tired-looking people going home from their jobs, dodgy-looking Chinese geezers who look as if they’d fail to understand the phrase “honest day’s work” if you pointed to it in a dictionary, all moving along the street, chatting, smiling, scowling … every face a new story. 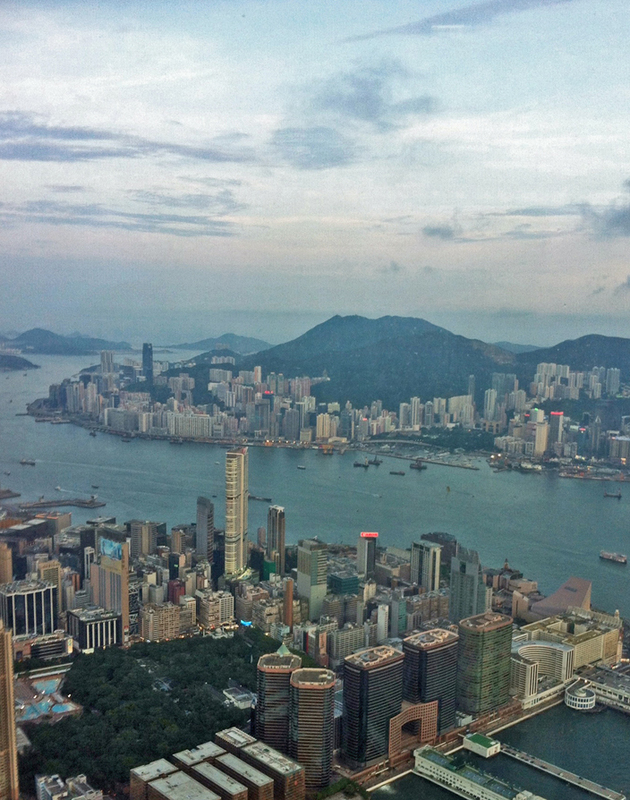 But you don’t have to be up high to find a great view from a bar in Hong Kong. The beach-side bars include one that the many journalists who live in the little village of Shek O, on the island’s east coast, have sworn a secret oath never to write about, in an attempt to try to keep it unknown and unspoiled: so I am probably going to be found hanging under Blackfriars Bridge with a Kung Fu dagger in the back of my neck and my pockets weighed down with stone dragons after this. 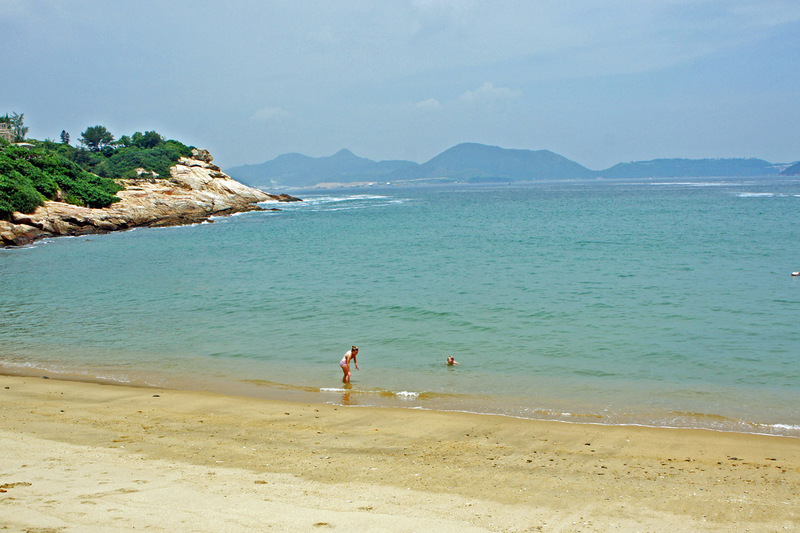 But Shek O, which is about 30 minutes by bus from the end of the MTR line, has two beaches, one well-known and popular, and the other, the “back beach”, on the other side of Shek O’s little peninsula, hidden and hard to find; and overlooking the back beach is the Back Beach Bar. It’s a shack, basically, but the beers include Samuel Adams Boston Lager, which is perfectly acceptable, and the view – sand like unpolished gold, turquoise sea, hazy mountains in the distance – once again makes the beer selection almost irrelevant. However, if it IS a great beer line-up you’re after, Hong Kong can do you here, too: the Globe, in Graham Street, Central, is a bar any city would be delighted to have, and its boss, Toby Cooper, has put it at the heart of the city’s beer scene. The arrival in Hong Kong in the past couple of years of several specialist beer importers has greatly improved the opportunities for a bar with ambitions to remain unbeatable in its beer offer, and that’s just what the Globe clearly wants to be. Large and airy, though windowless, the Globe’s pale-wood-and-booths ambience is different again from most Hong Kong bars, which generally turn the lighting to “minimal”. There is almost always something interesting and unusual on tap, such as Mikkeller or Lost Coast, and occasional special events, like the “tap takeover” by the Boxing Cat brewery of Shanghai in May, and beer-and-food tastings with brewers such as Mountain Goat Beer from Victoria, Australia and Baird Brewing of Japan. Sadly, the (hopefully temporary) cessation of brewing at Hong Kong’s one cask ale brewery, Typhoon, on Lantau Island, means the solitary handpump on the Globe’s island bar is currently unused. To make up for that, though, there are 80 or so different bottled beers; and the food is excellent, with the best pies in Hong Kong. For a final contrast point yourself to The Pawn, housed in one of the last late 19th century buildings left in Wan Chai, formerly four shops (one of which was a pawn shop) with living accommodation above. Today the top floor is a restaurant, but on the first floor is a drinking area which looks as if someone had raided an Anglo/Chinese junkshop to fit out a hipster bar in Shoreditch, east London. It has a balcony overlooking the tramlines of Johnston Road, and a mixture inside of Windsor chairs and leather banquettes, candle-covered old tables and second-hand books on the windowsills. It’s a rare outlet in Hong Kong for the Yorkshire brewery Samuel Smith’s excellent Organic Pale Ale: although you’ll need to stop the waitress pouring the bottle into a pint glass filled with icecubes. Fabulous article. This is now the definitive list for my next visit to Honkers. The Globe is very good, and whilst I couldn’t get to the ozone bar, even the Lounge at 102 floors offers a view. Thanks for listing the MTR stations. That makes all the difference. This is a great article on something that #america has yet to understand: craft beer outside of #america. Yes it exists and thrives in small beautiful communities. Damn it, you’re making me nostalgic! 1. There are some great Japanese beers at the ramen bar Mist, in Causeway Bay. I last went a good few years ago, but I remember having a very fine wheat beer (although my memory might be playing tricks on me) with a label that looked like St Andrew’s cross. Can’t for the life of me remember what it was. Thanks for the fine article, Martyn, we’re missing you here already. Unfortunately Biere Von Irene is closed for the time being; she’s mulling her options and may reopen as a sort of bottle shop with tables. Have been meaning to check out Agnes B’s cafe, will definitely have to try the hemp beer. Has there been any updates on either Irene or that new 24-tap place you mentioned? Irene used to be just about my favorite place in Hong Kong, so was sad to see them go — hoping they’ll do a comeback! That 24-tap place sounds wonderful too, though!